← Bangs – Is your dog terrified of sudden or loud noises? Your dog may have had an accident, a heart attack or choked on something. You may be in the middle of a field all alone with nobody on hand to help. Here, too, is a demonstration video from PetsAmerica.org. 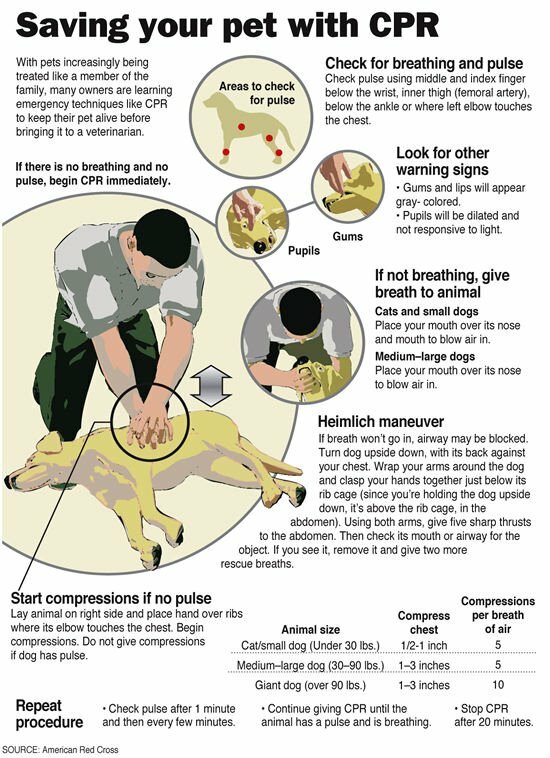 This entry was posted in PAWS for Thought, Science & Health and tagged breathing, CPR, resusitate dog. Bookmark the permalink.